Cosy and simple apartment in the urbanisation Pinar del Atlántico in Chiclana de la Frontera.This is a quiet area near Novo Sancti Petri. The urbanisation has gardens and is situated about ten minutes´ drive from one of the best beaches in Spain, the beach of La Barrosa. Maximum capacity is for four people. The apartment is located on the ground floor . It has two bedrooms: one with a double bed and the other with two single beds, well equipped American kitchen, living room and bathroom. It also has a large furnished terrace. Baby cot available upon request, and there are blankets and duvets for low season stays. In this property your pets are welcome. Definitely a great option to enjoy your holiday or for a short break. The beach of La Barrosa is a pleasant walk of about fifteen or twenty minutes away. 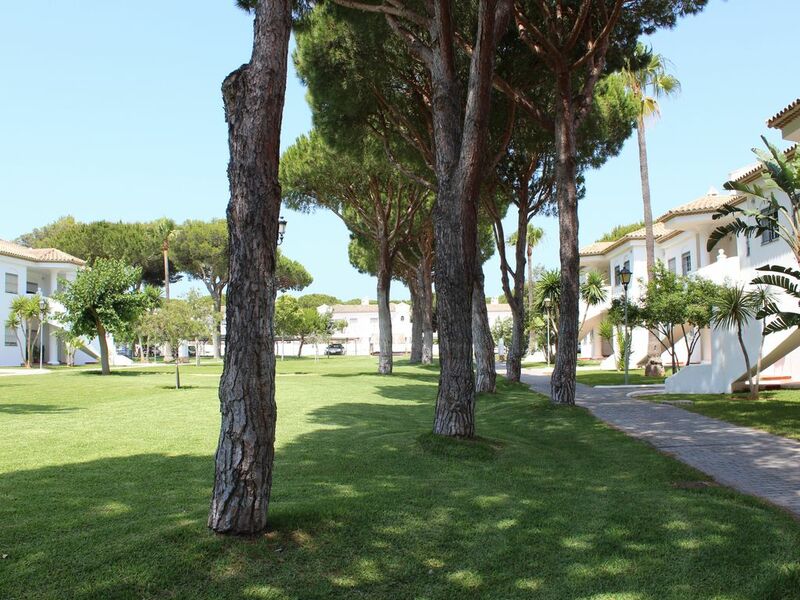 The La Barrosa public forest is also very close by with leisure areas and direct contact with nature. Die Umgebung war toll,die kurzen Wege zum Strand und die ruhige ,gesicherte Anlage.Auch der Parkplatz fuer das Auto war gut. Das Apartement empfaengt einen mit einem schlechten,alten Geruch.Die Moebel sind abgelebt,auszutauschen,das Besteck kaputt(Messer).Da muss fuer eine Urlaubsathmossphaere noch mehr Liebe investiert werden.Der in der Praesentation angekuendigte Sat TV war nicht vorhanden,ein Muss bei internationalen Gaesten. Good location and very quiet area. Good accommodation with everything you need. It fitted our needs for a short stay The bed was very creaky and we woke each other just moving to get comfortable.